Today we are discussing the basic concept on Carbohydrates Classification from Biomolecules chapter. Carbohydrates are the organic molecules that are composed of the elements carbon, hydrogen, and oxygen. These sugars are referred to as saccharides. Carbohydrates are defined as polyhydroxy-aldehydes or polyhydroxy ketones or compounds, which produce them on hydrolysis. They supply energy and serve as structural constituents. Carbohydrates have the general formula Cx(H2O)y. They are the ultimate source of most of our food. We clothe ourselves with cellulose in the form of cotton, linen, and rayon. We build furniture and houses from cellulose in the form of wood. Mono means One, Saccharon implies Sugar in Greek. These are the simplest group of carbohydrates and are referred as simple sugars as they are sweet. The compounds are having free aldehyde or ketone group and two or more hydroxyl (-OH) groups. 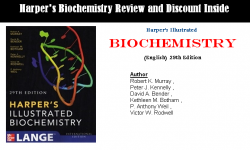 They cannot be further hydrolyzed to simpler compounds. The general formula of the monosaccharide is Cn(H2O)n. Examples: Glucose and fructose. Depending upon the total number of carbon atoms in monosaccharides and aldehyde and ketone functional groups present they are classified using terms shown in the below table. Point: The most abundant monosaccharide in nature is the 6-carbon sugar, D-Glucose. Oligo means Few in the Greek language. Also called as oligosaccharides. These are complex sugars When hydrolyzing these sugars yields 2 to 10 molecules of the same or different monosaccharide molecules. They are further classified as disaccharides, trisaccharides, tetrasaccharides, etc. based on the number of monosaccharide units. These carbohydrates liberate a large number of monosaccharide molecules on hydrolysis. They are usually amorphous, insoluble in water and tasteless and are called non-sugars. They are again sub-divided into two types. They are homopolysaccharides and heteropolysaccharides. 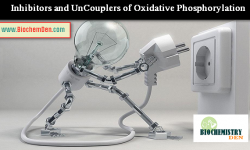 They possess only a single type of monosaccharide units. Examples: Starch, cellulose, and glycogen. They possess two or more types of monosaccharide units. Examples: Heparin and chondroitin sulfate. 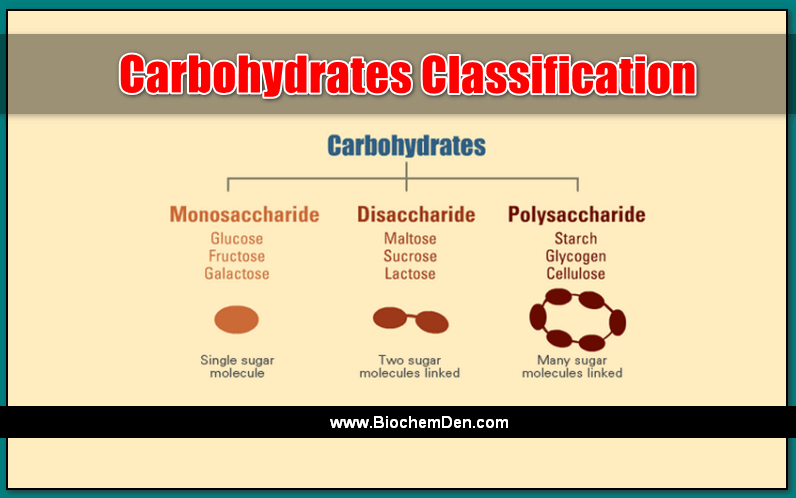 Important: In the classification of carbohydrates as saccharides glucose is a while starch is a homopolysaccharide and consists of repeating units of Glucose molecules. Classification carbohydrates are also classified as reducing and non-reducing sugars. It is a minor classification. Non-Reducing Sugars: All monosaccharides whether aldose or ketose are reducing sugars. In disaccharides, if the reducing group of monosaccharides, i.e., aldehydic or ketonic groups are bonded, these are non-reducing sugars, e.g., sucrose, while others in which these functional groups are free are reducing sugars. Examples: Maltose and lactose. The above Carbohydrates classification is universally accepted classification. If you have any doubts about this, please use the below comment box (or) use Contact Us form.